Many thanks to Ricardo & Paula for sending me this impressive magazine from Brazil featuring my photographs of their wedding. 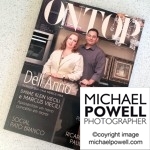 This tip-top “ONTOP” magazine features an eight page spread of 37 frames. Eagle-eyed readers will notice me listed in Portuguese as Buckingham Palace’s official photographer! Here are some stills from Paula & Ricardo’s fabulous wedding in Curitiba, Brazil. 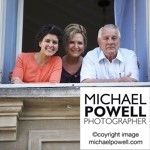 © 2013 Michael Powell Photographer | Wedding Photographer, Portrait Photographer, Food Photographer, Commercial Photographer, Editorial Photographer for Lincolnshire, Yorkshire & Nottinghamshire|ProPhoto Blogsite by NetRivet, Inc.